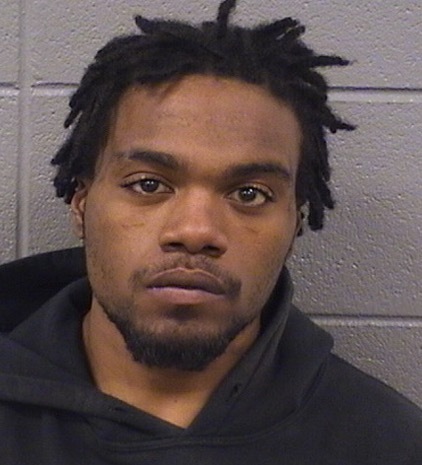 A 22-year-old Woodlawn man is charged with burglary after an undercover Chicago police unit caught him leaving the scene of a Lincoln Park burglary, court records say. Detectives working to reverse the area’s surging burglary rate say they saw James E. Walker ducking into gangways and alleys near Southport and Lill around 10AM on April 6. Officers who stopped Walker for a field interview found property that they traced to a home in the 2600 block of N. Wayne, where a forcible-entry burglary had taken place, prosecutors said. Walker was carrying a Dell laptop, a Samsung cellphone, Oontz wireless speakers, an iPod, and credit cards in another man’s name, cops say. His bail is set at $100,000. 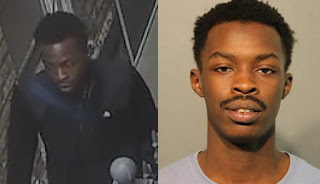 Court records show that Walker was previously arrested in the 1000 block of W. Irving Park around 5PM on March 4 after a homeowner found him poking around on his back porch. A 20-year-old parolee is charged with the burglary of a Wicker Park home that was captured on crystal-clear surveillance video. Antwoyn Carroll, also known as Andrew Moffett, is charged with burglary in connection with the break-in that was reported in the 1600 block of N. Bell on March 18. Carroll was arrested last Sunday for trespassing in the 2200 block of W. Hirsch, police said. Investigators subsequently connected him to the burglary case, footage of which began spreading online one week earlier. State records show that Carroll, a convicted drug dealer and auto thief, is on absconder status after being paroled in February 2015. The burglary victim posted video of the break-in to Reddit after waiting nearly three weeks for police to send an evidence technician to collect fingerprints, footprints, and a copy of the burglary images. Less than 48 hours later, the Chicago Police Department issued a statement that said detectives had picked up the video and were investigating the incident. “The First Deputy Superintendent has also asked the Chief of Detectives and Chief of Patrol to look into whether this incident was dispatched properly and investigated in accordance with CPD standards and protocols,” the department said in a press release.